Bosnia’s Constitutional Court upheld an appeal from Serb ex-policeman Petar Civcic, who spent over 1,000 days in jail before being acquitted of wartime crimes, ruling he should be paid more than the 43,470 euros initially awarded. Bosnia’s Constitutional Court has ruled that Petar Civcic, who was acquitted of participating in the August 1992 murders of around 200 people at Koricanske Stijene, must be paid more compensation than the 43,470 euros he has already been awarded, BIRN has learned. The state court initially awarded him 43,470 euros in 2016 because he spent 1,036 days in detention until he was cleared of the war crimes charges under a final, second-instance verdict. Civcic challenged the amount, but his request to be awarded more compensation was initially rejected by the state court’s review chamber. An appeal was then filed with the Constitutional Court, which on February 5 told the state court to rule again on the payment to Civcic. 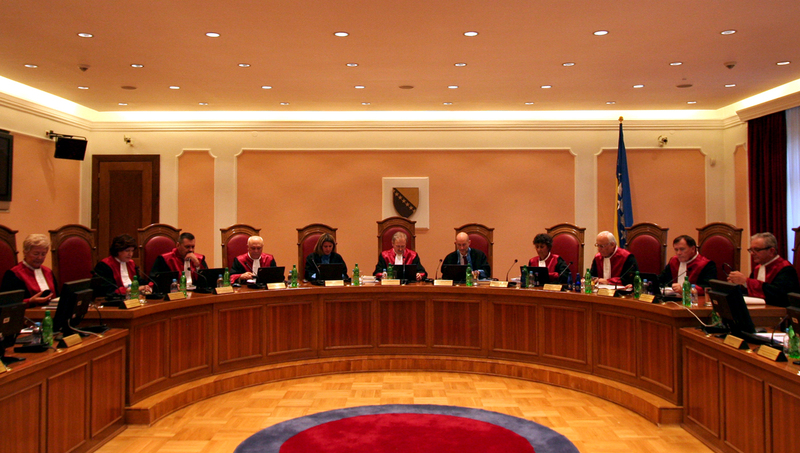 “The case has been referred back to the Court of Bosnia and Herzegovina, which is obliged to render a new decision by emergency procedure,” the Constitutional Court said in its decision, which was not initially made public. Lawyer Savan Zec, who represents Civcic, said that a decision should be handed down within a three-month deadline imposed on the state court by the Constitutional Court. “He was awarded the amount of 85,000 Bosnian marks [43,470 euros] for having spent two years and ten months in detention. Mathematically speaking, this means he gets 82 Bosnian marks [42 euros] per day,” Zec said. “We consider it would be fair for the amount to be bigger, because when you pay to the state, you pay 100 Bosnian marks [51 euros] per day, but when it is the other way round, the amount is smaller,” he added. Zec was referring to the 100 Bosnian marks per day that convicts can pay the state to stay out of prison if they are sentenced to less than a year in jail. Civcic, a former policeman with the Interventions Squad at the Public Security Station in Prijedor, was acquitted in September 2013 of participating in the mass killing at Koricanske Stijene in August 1992.